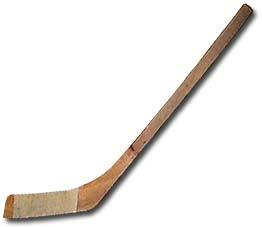 Autographed mini-stick from members of the 1938-39 Boston Bruins that captured the city's 2nd Stanley Cup championship. 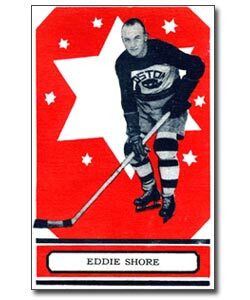 The Bruins were led by 1st Team All-Star Eddie Shore along with Calder and Vezina Trophy winner Frank Brimsek. 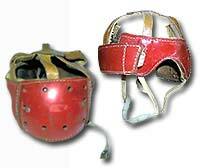 Eddie Shore was one of the first players to wear a helmet along with teammate Johnny Crawford. Pictured are two views of the famed Shore helmet. 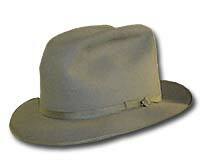 Eddie Shore's fedora worn during his tenure as Owner/General Manager/Head Coach of the AHL's Springfield Indians in the 1950s and 1960s. 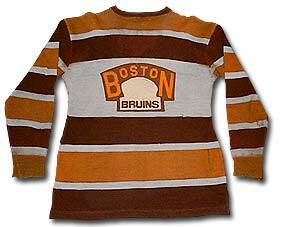 On March 6, 1933 fans in Boston tendered Shore a special dinner in his honour at the Copley Plaza Hotel. 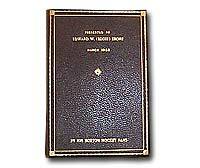 He was presented with this special book signed by many of those in attendance that night. 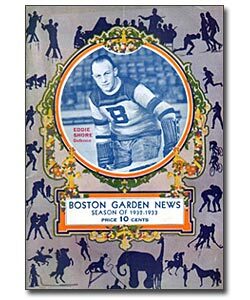 Eddie Shore graces the cover of this 1932-33 Boston Garden News program.